KUALA LUMPUR (April 17): The Petaling Jaya City Council (MBPJ) has cancelled an application to develop the 7.5ha PKNS Sports Complex in Kelana Jaya, Selangor, saying that it is against the law to do so on a recreational space. 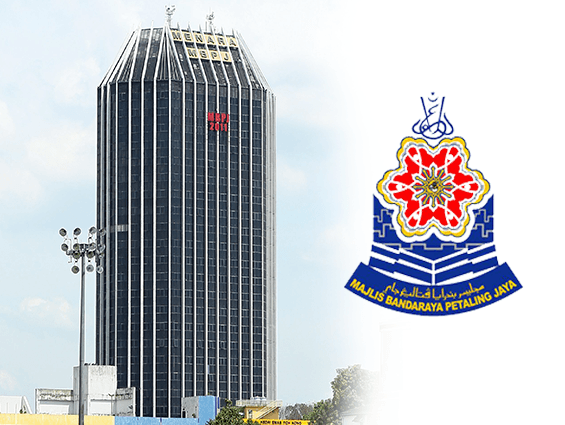 The council’s one-stop centre (OSC) cancelled the application from PKNS Holdings Sdn Bhd on April 14 on the grounds that the area had been zoned as recreational and open space under the Petaling Jaya Local Plan 2 (RTPJ2). PKNS Holdings is a wholly-owned subsidiary of the Selangor State Development Corp.
PJ councillor Lee Suet Sen questioned PKNS Holdings’ motive in submitting a proposal to develop the land. “Why did they put in a submission when they should clearly know that the area has been zoned as an open space under the RTPJ2?” he told a press conference at MBPJ headquarters yesterday. Yesterday, The Malaysian Insider reported the stand by Gerakan Selamatkan Padang Rakyat (GSPR or the Movement to Save the People’s Field) action committee that the authorities must ensure that no development would take place at the PKNS Sports Complex. The group had urged the state government to intervene and dismantle a joint-venture (JV) agreement between PKNS and Bayu Melati Sdn Bhd to redevelop the area. In a recent posting on Facebook, Kelana Jaya Member of Parliament Wong Chen had published a letter from PKNS general manager Azlan Md Alifiah who had admitted that PKNS signed a JV development agreement with developer Bayu Melati Sdn Bhd on Jan 28, 2011, because PKNS had assumed that the site was zoned as commercial. It was reported that there were plans by the developer to build a sports city with a gross development value of about RM2 billion on the 6.39ha land. At yesterday’s press conference at the MBPJ headquarters, Lee said that it is against the law to build on land that had been zoned as open space. “The local plan verified and endorsed by the Selangor Town and Country Planning board and MBPJ clearly classified the land as recreational and open space. “Under Section 18 of the Town and Country Planning Act 1976, there can be no development inconsistent with the local plan. Any attempts to interpret PKNS Kelana Jaya field as commercial is inaccurate and against the law,” he said. Lee said that any commercial development on recreational land must go through a process of rezoning and amendment to the local plan. “Without the rezoning and amendment, no development application will be approved by MBPJ,” he said. PJ councillor Cynthia Gabriel said PKNS Holdings had made an online application on Jan 15. “The application was incomplete and was rejected by the OSC. No new application has been made since,” she said. Gabriel reiterated that MBPJ is the sole authority to approve applications, and PKNS as a state body did not have the legislative power to change the status of the land. She added that MBPJ was not liable to compensate any party as the JV was between PKNS Holdings and Bayu Melati. The proposal submitted by PKNS Holdings included developing the land in three phases by Bayu Melati. Phase 1 would consist of two blocks of 30-storey apartments with a 3-storey basement car park, while Phase 2 would consist of three blocks of 30-storey apartments with a 3-storey basement car park. Meanwhile, phase 3 would include the building of a 4-storey office complex. Former PJ councillor Mak Khuin Weng said that in early 2012, when the project was first mooted for development, PKNS had justified the project because the RTPJ2 showed the site to be under the commercial zone and could be developed. However, he said the residents were quick to discover that in the original version of the RTPJ2, the site was zoned as a recreational field and that the change in zoning was done illegally. The issue was brought to the select committee on competency, accountability and transparency (Selcat), and it concluded that the site would remain as recreational land. This article first appeared in The Edge Financial Daily, on April 17, 2015.